An array can basically be defined as a type of special variable that has the capacity to hold more than a single value at any particular time. This can be better understood with the help of a python array example in which you have a list of items say the names of a few cars. And you want to store the names of those cars this can look like the list mentioned below. Now imagine a particular scenario where you had to loop through a list of cars just like this but the difference was that instead of just 3 car names you had 300. This task can become a lot more daunting in such a situation but a perfect solution to solve such a daunting task is with the help of this python array element. Here an array can help you because of its ability to hold a number of values under just one single name. You can also refer to that particular value with the help of its index number. It is also important for you to know that this programming language does not possess an inbuilt support for arrays but you can choose to Python lists instead of that. Also, if you wish to modify or change the value of the first array item in the python array list then you can do that in the way mentioned below. It is also important for you to know that the length of an array will always be one more than the highest array index. If you wish to loop through all the items that are present in an array then you can do that by using the for in loop method. For example, if you wish to use the function of python print array to print all the items that are present in the cars array then you can do that in the format mentioned below. While using the remove () method you should also keep it in mind that you can only remove the first occurrence of the value that you specified with the help of this method. In this programming language, there are a number of different methods that are built-in and that you can use on any particular list or arrays. And those Python array list of built-in methods is mentioned below. These are all the major build-in methods that you can use in the lists or arrays that you build in this programming language. You should also remember the fact that we mentioned above regarding python not having an inbuilt support for arrays but instead, you can also choose to use python lists. 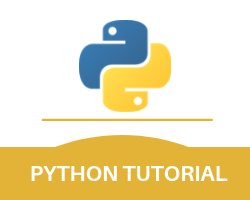 With this, we complete the python array functions part of this entire python tutorial.